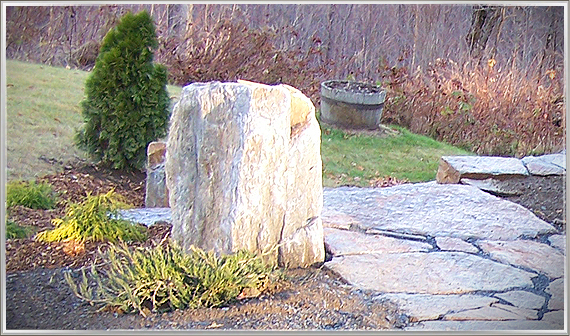 Boulder Stone can be an excellent element in designing the perfect hardscape. Boulder stones are typically large in size and often require machines to move and set in place. Boulders are sold by the ton and may require special trucking for delivery. Consultation on any boulder installation is available at Unity Stone Quarry. Our Staff has over 30 years of experience installing walkways, patios, retaining walls, decorative walls, outdoor fireplaces, and any outdoor hardscapes.